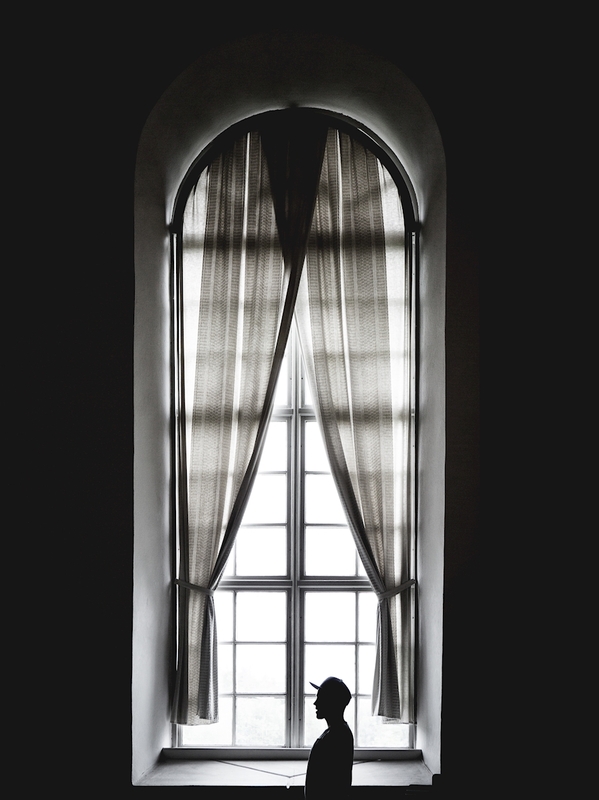 A window in Lövånger's church photographed a bright summer day when the light flowed in. A beautiful black and white photo of a tall arched window with the silhouette of a young man in a cap in front of it. Deep contrasts give the photo print a dramatic feel that stand out.